I needed something to put on the coffee table. Enter the salvaged barnwood flower box. Last fall a very old house came to the end of its life. For some time they had a sign out front for free wood. Hey, I'm all over that! So, my mom and I headed out and scored some nice pieces. Super easy to make, really. Of course, you do need a saw. and some clamps to hold them together. trimmed the bottoms to make them even. I used a piece of scrap we had in the garage. the bottom so it wouldn't scratch the table. Right now it's sporting some creamy fake hydrangeas...fresh and summery. or maybe a shorter version. I'm super happy with it and love the chippy paint. probably cuz I'm too chicken to ask for some. Where's the best place to get free wood? so I hope you are stayin' cool wherever you are. Luv your little box Kelly . Perfect with the creamy hydrangea. I'd love to come across a free pile of gorgeous wood just like yours. 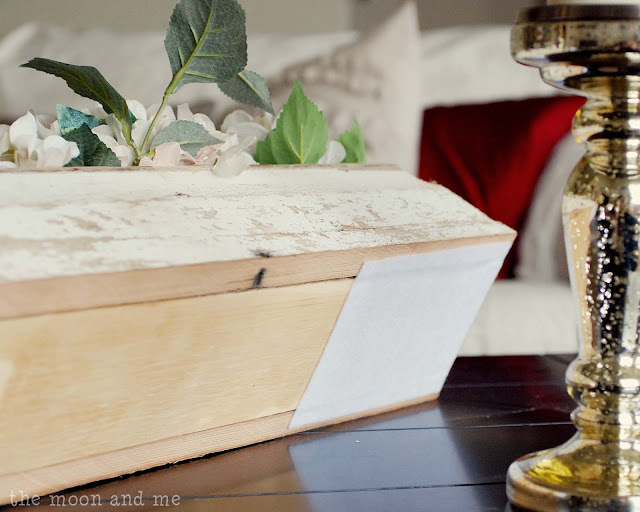 Love your box and it will be perfect for any occasion. So pretty! Love the chippy wood you found! Just my style! That must have been fun to find free barnwood. 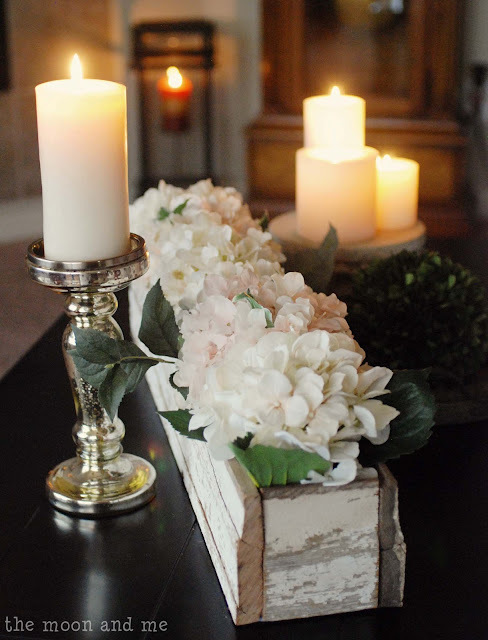 Love the whole vignette - creamy white hydrangeas - beautiful. Beautiful and rustic and simple. Plus, I LOVE hydrangeas! Thanks so much for sharing this. I'm going to be on the look out for some reclaimed wood! I'm visiting from the 36th Avenue link party. I LOVE it...so pretty! There is an old barn on our dairy that is coming down soon...and I have lots of plans for that wood. I am going to make a box just like this...thanks so much for sharing your idea!!! This is gorgeous, I just loooooooove old wood. Smart move on adding the felt to the bottom too. I love this Kelly - it was the first link I looked at from the party! I juts so happened to whip myself one up today..so funny! Kelly what a great little project with such character! I love it. Thanx so much for partying at my place. This is so pretty! I love that you left the barnwood exactly as is - it has so much character. I hopped over from 36th Avenue - hope you have a great weekend Kelly! This is so cute! I just love it. Old barnwood is a favorite of mine. It's awesome that you got it for free - what a great find! I really like this flower box, and you're right, you can put so much in it depending on the seasons. Absolutely gorgeous!! I love it. Hi! Found you from the sundae scoop! Love your box! It's adorable! It's gorgeous! I love your beautiful photographs too. If you have a minute to spare I'd be thrilled if you could pop by my blog share this at my weekly Say G'Day Linky Party. It's on now and this would be a brilliant addition! Thanks so much for sharing your project at the Say G'day Saturday linky party. I will featuring you at this week's party. Your flower box is beautiful! Thank you for the great tutorial! I found you on Say G'day Saturday. Have a terrific week! Awesome flower box...Love it! Found you in Inspiration Monday party. How beautiful! And your photos of it are divine! Ohhhh, that's so pretty! 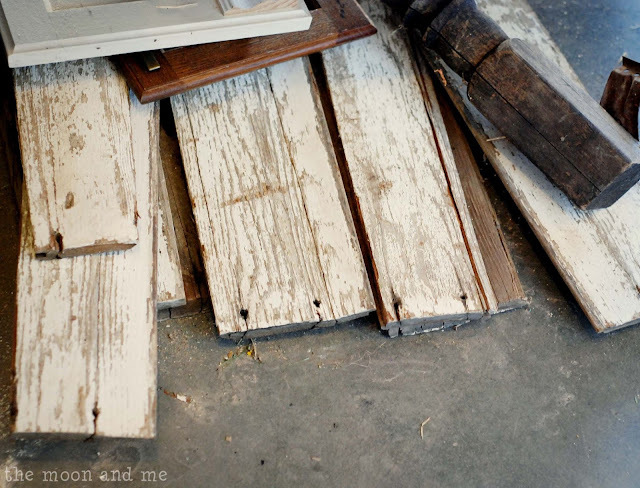 I have some barnwood in my garage just waiting for the perfect project ... this may be it! This is such a lovely project, Kelly! I couldn't help but feature it on I Love That Junk and a few other various places. :) Thanks so much for inspiring and linking up! Your barn wood box is fabulous. Way to think out of the box, LOL! Thanks so much for sharing it. You are a feature this week at Ivy and Elephants. Please stop by and grab a featured button. 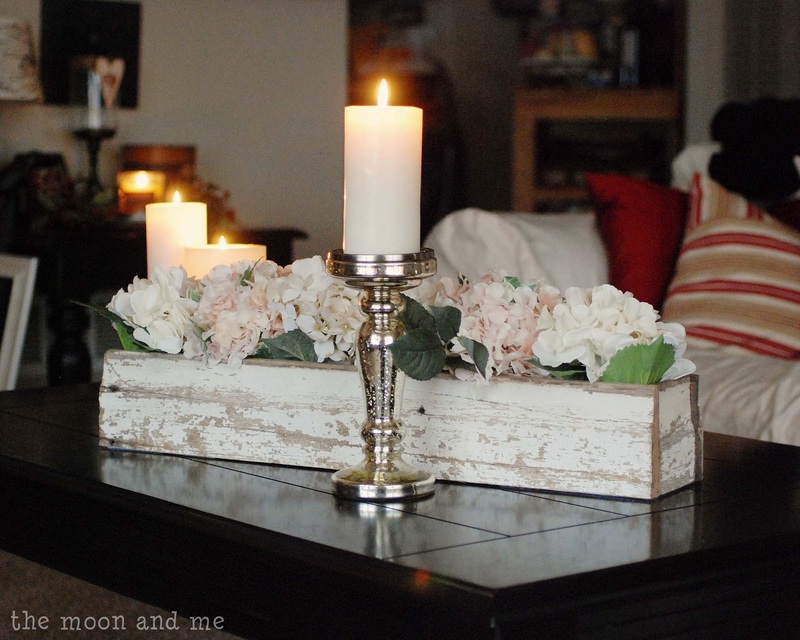 Your barnwood makes a fabulous box! Super cute and it looks super easy too!! I've gotta make myself one of these! Thanks for sharing it at Think Tank Thursday. I featured you today. This is so simple, yet so perfect. Now I have to go find some old wood! I'm stopping over from Make It Pretty Monday. I love how this turned out!! 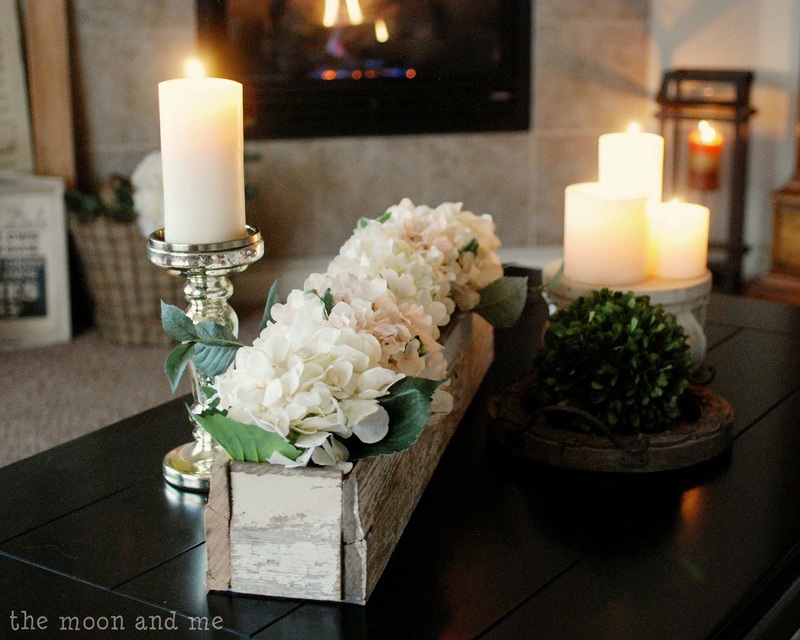 Very pretty and rustic! I'm stopping over from Natasha In Oz! This is so pretty. I love old barn woods! Just beautiful! I love that you called it your "good" wood! haha! I do the same thing! Thank you for sharing at Give Me The Goods! 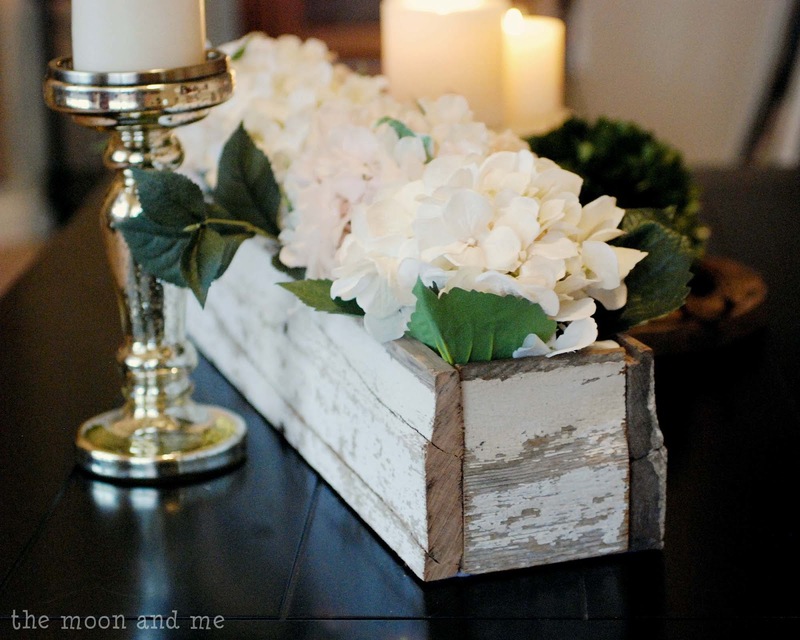 We've done several fenceboard projects including a centerpiece box, but I like yours better! Great job! Beautiful,,, stopping by to Say G'day Saturday! Oh how beautiful! I'm in love. I adore how the wood plays nicely off of the creamy color of the hydrangeas. Such a sweet flower box...looks so pretty! Would love for you to pop over and share at Amaze Me Monday! I know this is an old post but I need to know where you got these hydrangeas! 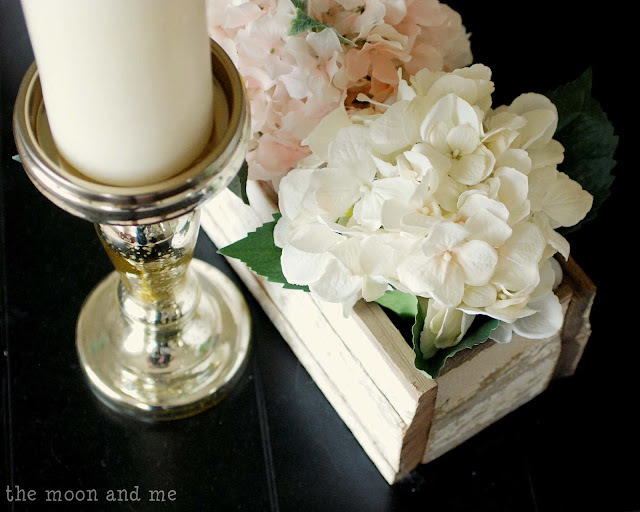 I made these boxes but am not having good luck finding hydrangeas that aren't cheap or plastic looking, love these! Thank you.